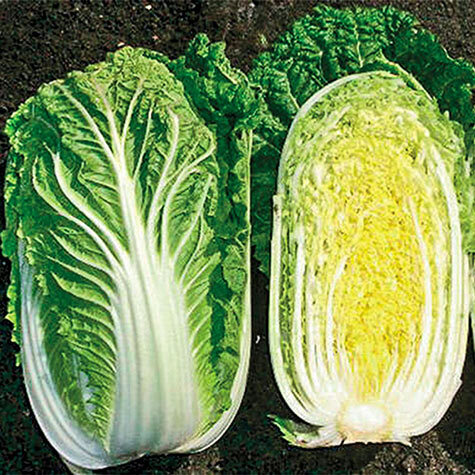 China Star Cabbage | Gurney's Seed & Nursery Co.
Sweet, crisp and delicious, China Star is our favorite Chinese/Napa cabbage for the home garden. 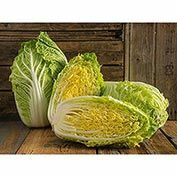 Large heads weigh 3-4 lbs., and are excellent shredded into salads or stir-fried. Bolt tolerant, resistant to tip burn and black speck. 70 DAYS. 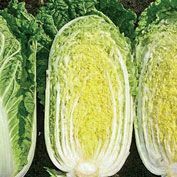 Comments: Large headed, Chinese cabbage with dark outer leaves and yellow inner leaves. Slow bolting and tolerant to tipburn and black speck.